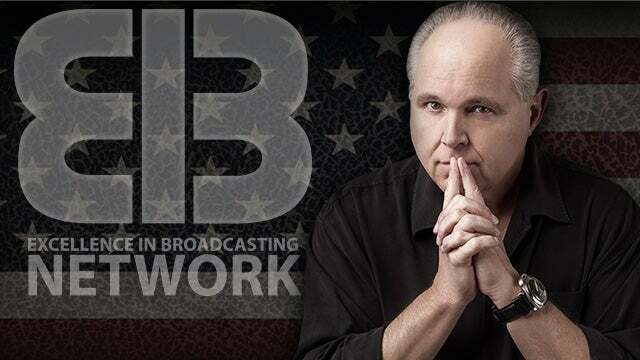 RUSH: I could put this in my own words, but Victor Davis Hanson had a piece yesterday about now that this has happened, is this gonna be standard operating procedure? Are we gonna have an ongoing named special counsel to sit in daily assessment of any president going forward? Are we now going to have an unelected, named investigator that is investigating every president every day of his presidency? Because this does set a precedent if this isn’t stopped, if this isn’t properly characterized, if this isn’t properly exposed for what’s really happened here, then how do you keep it from happening again? Anyway, let me take a brief time-out here, and I’ll find what Mr. Hanson wrote about this ’cause it’s really well done. RUSH: Yeah. Yesterday Victor Davis Hanson had a great piece at American greatness called, “All the Progressive Plotters.” And it’s really well constructed. “Right after the 2016 election, Green Party candidate Jill Stein … in three states to recount votes and thereby overturn Donald Trump’s victory in the Electoral College. Mentions the celebrities, talks about Kathy Griffin and others beheading and decapitating Trump, blowing him up, burning him up, beating him up, shooting him up, caging him up. “When that did not work, during the president’s first year in office, the Democrats and the media at various times sought to invoke the 25th Amendment, claiming Trump,” was mentally unfit! Rosenstein offered to wear a wire in some sort of bizarre comic coup attempt to catch Trump off guard being an idiot. “When that did not work, 200 congressional Democrats in late 2018 sued in federal court to remove President Trump, claiming he had violated the esoteric Emoluments Clause. … When that did not work, the ongoing ‘Resistance’ both covertly and overtly sought ways to retard or destroy the Trump presidency—often by leaking presidential memos, conversations, and phone calls. An anonymous op-ed published in the New York Times on September 15, 2018 boasted of a plan of resistance to his governance and initiatives from those in the administrative state from inside the Trump Administration. “When that did not work, progressive heartthrob lawyer and now indicted Michael Avenatti reintroduced pornographic film star Stormy Daniels. … When that did not work, federal law enforcement officials stormed the offices of Trump lawyer Michael Cohen. … When that did not work, Russian collusion hysteria continued to sweep the country. 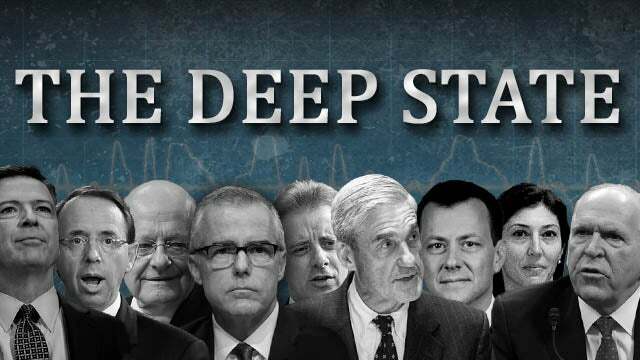 The moribund phony Steele dossier was reignited by the media and progressive politicos after the firing of FBI director James Comey. “Rosenstein then appointed Robert Mueller as special counsel. … When that did not work, congressional committees mobilized to sue and force Trump to release at least six years of his private income tax records. … Are such efforts in the future to be institutionalized? “Will the Left nod and keep still, if Republicans attempt to remove an elected Democratic President before his tenure is up? 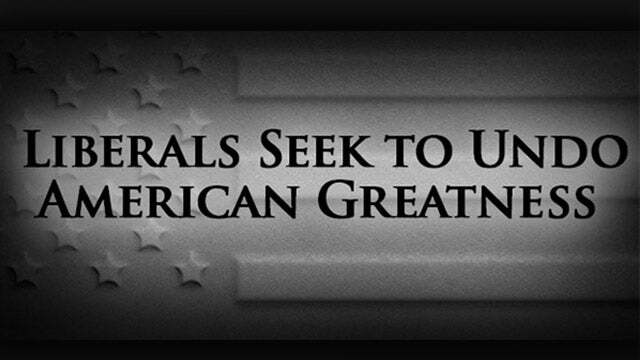 Are appeals to impeachment, the 25th Amendment, the Emoluments Clause, the Logan Act, and a Special Counsel the now normal cargo of political opposition to any future elected president? Is it now permissible in 2020 for Trump’s FBI director to insert an informant into the campaign of the Democratic presidential nominee?” Which happened to Trump. “If Joe Biden is the 2020 nominee, will the Trump Justice Department seek FISA warrants to monitor the communications of Biden’s campaign team—in worries that Biden son’s business practices in the Ukraine had earlier compromised Biden. … Will they investigate Biden’s propensity to hug and kiss under-aged girls? Will Trump’s CIA director contact foreign nationals to aid in spying on Biden’s aides? “Will National Security Advisor John Bolton request that the names of surveilled Biden campaign officials become unmasked as a way of having them leaked to the media? Will Trump hire a British ex-spy to gather together rumors and gossip about Biden’s previous overseas trips. “Not now. The left believes that almost any means necessary, extra-legal and anti-constitutional or not, are justified to achieve their noble ends. Progressive luminaries at CNN and the New York Times have lectured us that reporters need not be disinterested any more in the age of Trump—or that it might be a crime to shout ‘lock her up’ at a Trump rally. Will those standards apply to coverage of future Democratic presidents? What if the Republicans try all of this against the next Democrat? Ha. RUSH: Now, wait a minute. Before anybody goes off, Victor Davis Hanson is asking these questions rhetorically. Nobody in the world thinks the Republicans would ever do what the Democrats did here. The Republican FBI would not plant spies in a Democrat campaign, in the Democrat nominee’s campaign. They wouldn’t commission a phony dossier. That’s the whole point! But will the Democrats do it again? The question is, since the Democrats did it this time — and make no mistake, Hillary Clinton did this with the aid and probably initiative of Barack Obama — believe me, none of this could have happened without Obama at least knowing about it. This stuff started in 2015. This stuff started the moment Trump got in the race and started talking about shutting the border, started talking about building a wall, started talking about getting us out of NATO, started talking about NAFTA. Trump’s campaign was heard by these people as a great unraveling of the world order that they ran. They weren’t gonna take any chance. This guy wasn’t supposed to get to first. They were gonna make sure Trump never got to first base much less second base, third base, or homerun. This stuff started the minute Trump’s rants on what he thinks is wrong with America and concomitantly put America back together again, making America great again meant reasserting America in this global arrangement, rather than having us be subordinate in the global arrangement, these people started having a cow. And they weren’t gonna leave anything to chance. They’ve devoted their lives, their educations, their careers, their forebears — I mean many of these people are legacied. Their parents, fathers and whatever were involved in all this. They weren’t gonna let some ogre come along. And even if he didn’t win, the public was reacting really favorably to what Trump was saying and they couldn’t take the chance that the Republican nominee, if it wasn’t Trump wouldn’t pick up on some of this stuff because it might be seen that’s what it would take to win the election. Now, that’s a real, real far out possibility that any of these other Republican candidates would have adopted policies like Trumps. But they couldn’t leave that to chance. Trump had to be taken out. And I’m telling you, this had coordinated involvement from the U.K. and maybe Australia. Have you heard of the Five Eyes intelligence arrangement? The Five Eyes are Australia, New Zealand, United States, U.K., and Canada, five countries, and they have a tacit agreement not to spy on each other and to share intelligence as – (interruption) what are you laughing at? That’s actually what it’s called. It’s called Five Eyes. Five nations not spying on each other and sharing intel because of the coordinated unified aspect of Western civilization. U.K., Canada, United States, Australia, New Zealand. English speaking, for the most part, countries. And the Five Eyes work together to shield each other, not spy on each other ostensibly. But here the Brits were spying on an American, Donaldus Trump. And the point is that this was a coordinated and focused, concerted effort that could not have happened without the, at bare minimum, knowledge of the sitting president at the time, which was Obama. So Mr. Hanson’s piece here in detailing “when that failed, when that didn’t work, they tried this; when that didn’t work, they tried this.” Okay, after all of this, has it become institutionalized? Could it happen again? Well, no, because if a Republican’s pants were on fire I don’t think a Republican would engage in this kind of stuff, putting spies, you know, coordinating with the DOJ and the FBI and the Brits, getting the CIA to plant spies on a Democrat presidential campaign. The media found out about that, can you imagine — reverse all of this. Reverse the parties and then take the media out of it and put the media in it as a Democrat spy organization on its own. Can you imagine if the media found out the Republicans had done what Democrats did, the media would be devoted to exposing it and destroying everybody involved. The question is, now that it has been done and now that they have seen that they can do it, even though some of them got fired, and even though to date it hasn’t worked, but has it really not worked? For two years this administration has been in a straitjacket. For two years this administration’s been sitting there at 45% approval instead of 55%. For two years this administration been operating under a cloud of suspicion that’s only got deeper and thicker. So to say that it didn’t work is not true. It did work. The ultimate objective of getting rid of Trump and overturning the election results didn’t work, but the next best thing did. Near paralysis of the Trump administration. They’ve got people inside the Trump administration, in the West Wing, who are still trying to sabotage it. They’ve got the administrative state — which is now called the deep state — but the administrative state of all these unelected bureaucrats populated by leftists for decades now working to undermine Trump on every serious policy initiative. So the question is not would the Republicans do this, but now that this has become institutionalized as part of the weaponry of political opposition to an elected president, will the Democrats do it again? Well, I’m gonna tell you something, folks. It’s much easier to think that something that has happened can happen again than to believe that something that has never happened will happen. And so since it has happened and since to date everybody involved has gotten away with it in terms of not being charged, not having gone to jail, at worst some of them have lost their jobs, but they are still writing books, and they’re getting pensions, and they’re considered heroes by people on their team for the valiant effort in which they engaged. So damn straight it’s gonna happen again. You go look at 2000. George Bush was treated as illegitimate because of the Florida recount. The Democrats never accepted his legitimacy. And it covered, it flavored, affected the coverage of the Bush administration every day by the media. They attempted to sabotage the War on Terror and the war in Iraq. And I have to whisper this ’cause — don’t tell anybody this, but I’m not even sure that weapons of mass destruction, that whole thing was not a contrived effort to embarrass Bush. Look at the intel people involved. U.K. Five Eyes. Everybody said Saddam’s got weapons of mass. Slam dunk! Here are the photos. Here’s Colin Powell at the U.N. presenting the evidence! To this day people think Saddam had ’em and somehow moved ’em out to Syria before we got there. That sounds viable. Other people think Saddam never had ’em. He was bragging about it. Loved being the big guy in the region bringing the U.S. to its knees. Loved showing the Iranians that the Iraqis were much more powerful against the U.S. than the Iranians were. But that was very embarrassing for the Bush administration, no weapons of mass destruction after a two-year national tour by President Bush, speech after speech in city after city laying out the case and giving all the credit in the world to the intelligence agencies of the United States and the United Kingdom worldwide, and there are no WMDs? Bush’s second term was just as bad. George Bush 41 was treated in much the same way. Not as illegitimate, but still somebody that had to be gotten rid of. This is the group that Borked Robert Bork, attempted to Bork Clarence Thomas. So we get two years of Obama. They really thought John Kerry, if he’d a just won 55,000 votes in Ohio, could have been president, thought his election was stolen from him. They didn’t think Bush was gonna win reelection ’cause they thought they had destroyed him. But Bush was not a threat to their order, but to the Democrats he was illegitimate. And to the media he was illegitimate. He didn’t really win. Well, Trump, same thing. He didn’t really win. The Electoral College shows we don’t need it anymore! They popular vote. No way Trump should have won. Hillary Clinton was due. So Trump was illegitimate in every way. His policies are illegitimate; his existence is illegitimate; he’s not legitimate as a human being; he’s an ogre. I guarantee you this. If Trump wins election 2020, this stuff isn’t stopping. I mean, there may not be another special counsel, they may not be the same things, but the overall effort to disqualify or delegitimize Trump will never end, and the next Republican president, if one’s elected in 2024, is gonna get the same treatment. Once this stuff happens, you run the risk that it becomes institutionalized. And remember, people who read the New York Times, watch CNN, MSNB, don’t think anything about this was illegitimate. They just think, wow, there wasn’t any collusion, they didn’t find any. But they don’t have any idea what this really was. And so I’m sure — I don’t know how many — but a segment of the American population, it’s perfectly fine that there’s some guy like Mueller appointed to sit out there and make sure that Republican presidents don’t try any fast ones. Virtually every deterioration and bit of corruption in our political system can be traced to left wing political operations. I’m not saying the Republicans are clean and pure as the wind-driven snow, but this kind of stuff doesn’t even occur to them. They’re too worried about what the media thinks of ’em to ever, ever even try a thing like this. So the question VDH was asking was rhetorical in terms of Republicans, but the fact that it’s happened here and almost — I don’t think we know how close we came here. I want you to sit and think, imagine if three weeks ago now, was it four weeks when the Mueller report was issued at 5 p.m. on a Friday during March Madness? Imagine that the summary for the attorney general said that there was evidence that Trump had colluded with Russia. Can you imagine what this country would have been the past four weeks? You don’t even want to think about it. It would be over. And this is how close we came on something that has been completely illegitimate from the day it began. There has never been any shred of evidence suggesting that the original fear or claim, i.e., a foreign power, stole an election. There was never any evidence that there was even any involvement. the Trump campaign. That’s how close we came. So it’s a legitimate question, I think. Can it happen again? Well, since it’s happened once, and since everybody involved to date has gotten away with it, why won’t it happen again? RUSH: Let me just put it to you this way. If Trump had not fired Comey, I am convinced that Comey would have, quote, unquote, found some collusion. You can bet on it. Especially with the help of McCabe and Strzok Smirk and Page, Bruce and Nellie Ohr, all of whom would have remained in place. You can damn well bet there would have been.